John Nyman’s verse, visual, and conceptual poems and poetics have appeared in a variety of print and online publications including Rampike, (parenthetical), Cordite Poetry Review, and Hamilton Arts and Letters. His first full-length collection, Players, was released with Palimpsest Press in April 2016. 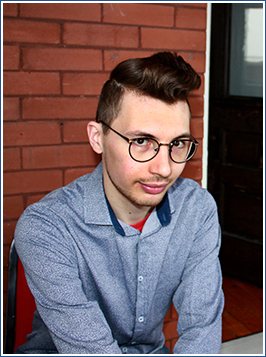 Originally from Toronto, he is currently completing a PhD in Theory and Criticism at Western University in London, Ontario. John Nyman is an Associate Editor for HA&L magazine.